NIA CHARLESTOWN NEVIS (MARCH 31, 2016) — Premier of Nevis and Minister of Education Hon. 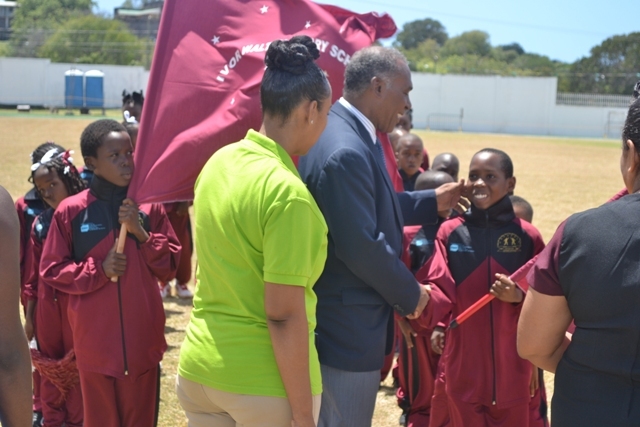 Vance Amory, says the theme for the 24th Gulf Insurance Inter-Primary Schools Championship did not only reflect an opportunity for athletes of the eight participating schools to win medals but also to inculcate values of courtesy and fair play which are vital to their success in life. Mr. Amory made the comment when he made remarks at the opening ceremony for sporting event on March 30, 2016, at the Elquemedo T. Willet Park under the patronage of Rainielle Arthurton. The theme was “Where everyone is a winner”. The Championships has been an annual event and has been sponsored by Gulf Insurance for 24 years. However, the competition began in 1982. Marketing Manager of Gulf Insurance Ms. Lisa Hutson, in support of the company’s dedication to partnership with the Department of Education on Nevis said their long lasting sponsorship is testament to the fact that the Company acknowledged its responsibility as a corporate entity in supporting citizens and the societies where they operate. She also voiced the company’s commitment in supporting the youth of Nevis in their life endeavours. 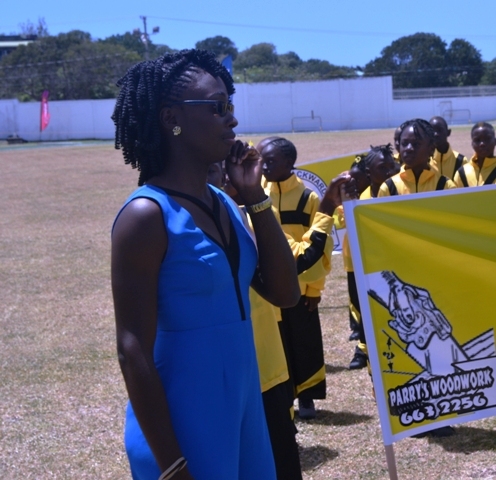 “We embrace this opportunity to support the call for the renewing of enthusiasm, passion and commitment in the youth of the Nevis society, not just to succeed in the races that they will compete in today but also to maintain that passion to succeed in all the races that they will be required to compete in throughout their lives,” she said. During the ceremony, the invocation was delivered by Pastor Ron Daniel, the National Anthem was rendered by Carlton Tuckett, the Patron’s profile was read by Cherry-Ann Walywn, the Declaration of the Meet was read by Rainielle Arthurton while Ercia Blake served as Chairman.